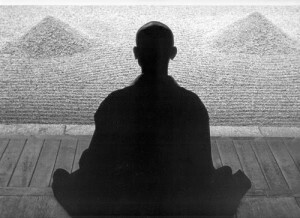 The Zazen means a meditation, the Buddhist primarily religious practice. This practice can be usually seen in some specific Japanese Buddhist sects, such as Rinzai School, Soto School etc. 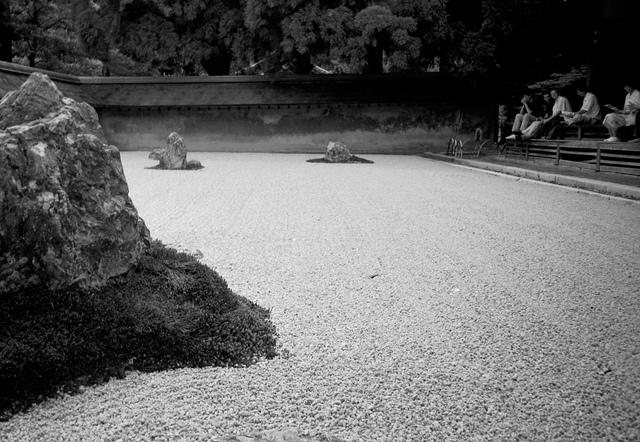 ), those which used to be commonly believed among Samurai in the past. The significance of this religious practice is to face yourself and to find out who you really are. While other Buddhist sects taught their believers that continuous recitation of five or seven sutra can take them to the heaven, those Zazen focused sects’ belief was on the actual religious practices. 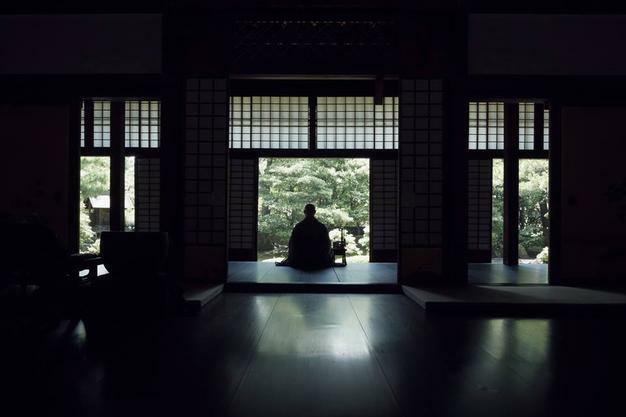 Therefore, Zazen is still commonly practiced in some temples from those sects and some of them are open for the visitors’ trials. JR Sagano Line (Track: 32 or 33). 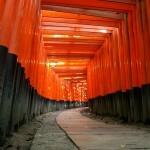 From the Hanazono Station, it is about 1 5min walk. Please make your reservation via email or phone. 1) As for the classes on 10:40 – 12:10 and 13:30 – 15:00 reservation is required at least 5 days in advance. It will be only be open for a group consisted of more than 10 people. 2) If you are looking for exclusive tour with special requests, you can also contact them for more details. In this class, you will be also able to learn the Japanese style hospitality with through Japanese Tea Ceremony. This temple is not just only about the Buddhism, but it also owns some Toro (灯篭: traditional Japanese lantern often made of stone or wood) with specific designs which are influenced by the past Christianity’s highest prosperity in Japan (around 1570’s). One of the Toro here is selected as the Japan’s Important Cultural Property. 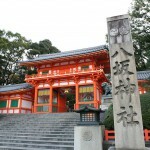 Moreover, it is said that there are two hidden symbolic designs from the Christianity around the main hall of this temple. 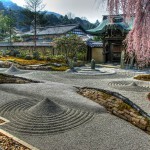 This temple also owns a very beautiful Shintoism style garden, which is something you should not miss when visiting this temple. 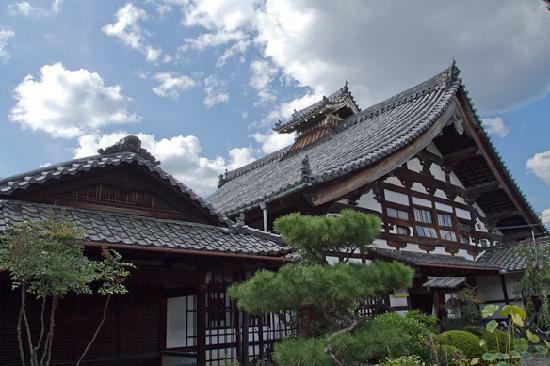 The Shunkoin Temple is from the Rinzai School and was found in 1590 by Yoshiharu Horio, one of the Hideyoshi Toyotomi’s vassals. It is recommended to wear comfortable clothes as you will have to be seated on the floor throughout the whole program.